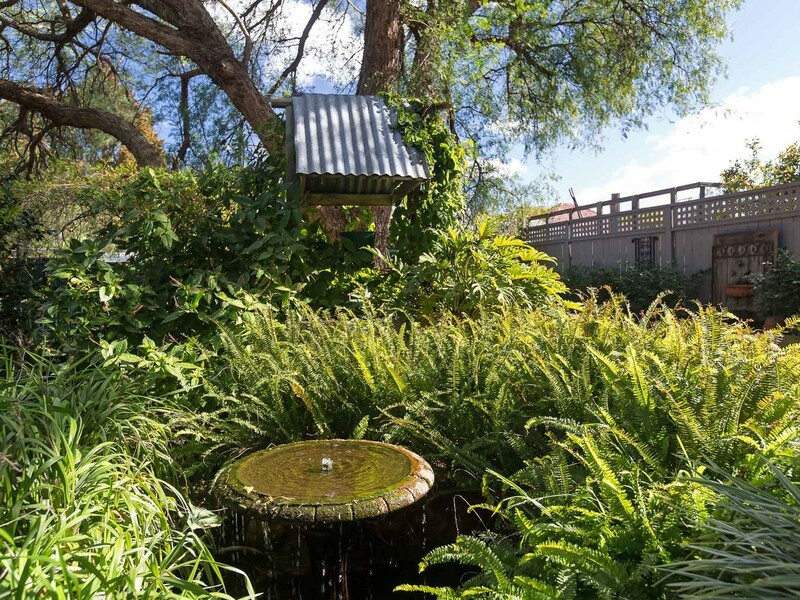 If you have been searching for something that stands apart from others in the property market, then here is your opportunity. 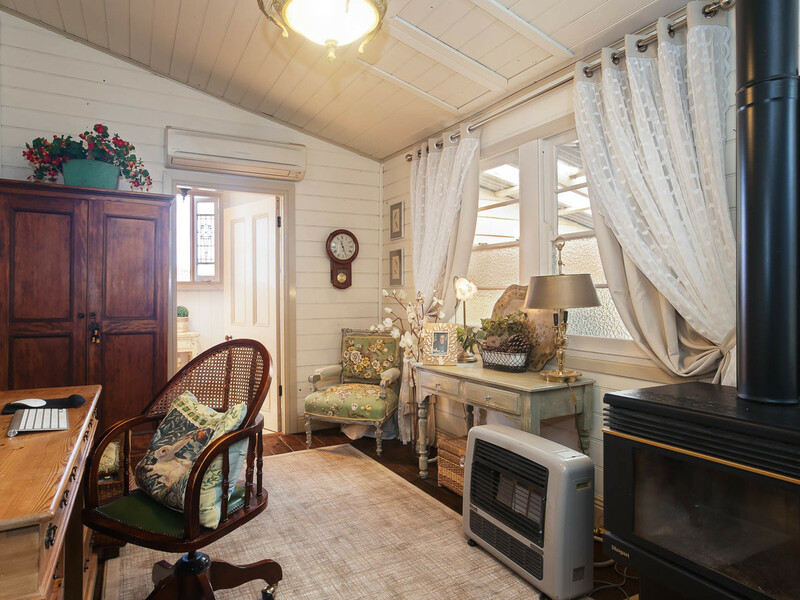 A timeless cottage that has been renovated to feature the best of old and new. 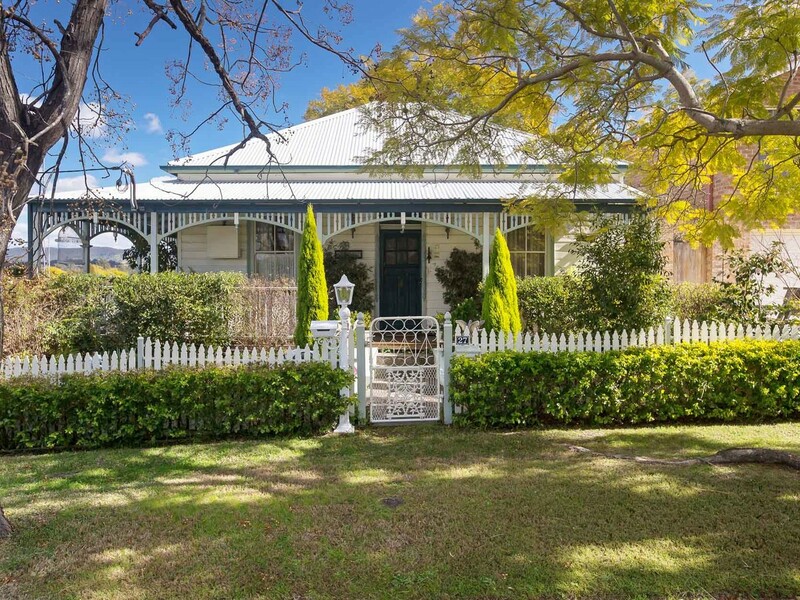 Constructed in 1904 this striking weatherboard cottage is located in one of Cessnock’s premier locations only a short stroll to the CBD. 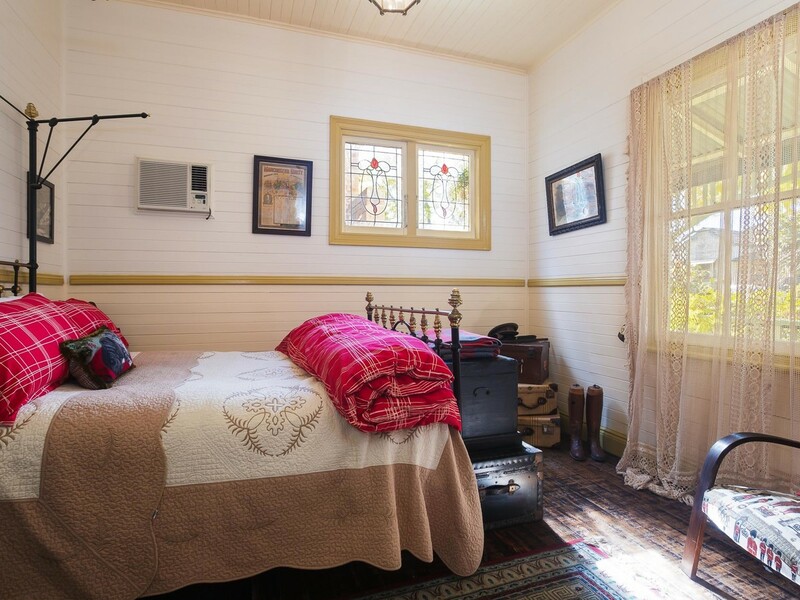 Upon entry, it instantly feels like you have been transported back to another era as you are greeted by timber boards and high ceilings. 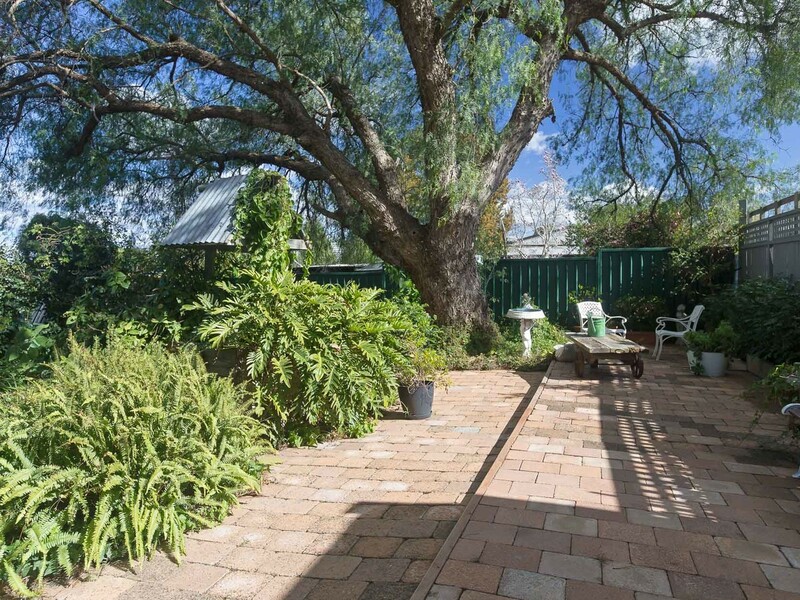 The three bedrooms are generous in size as it was in the era with two having French doors leading out onto the wrap verandahs and enjoying pleasant views back to the Watagan Range. 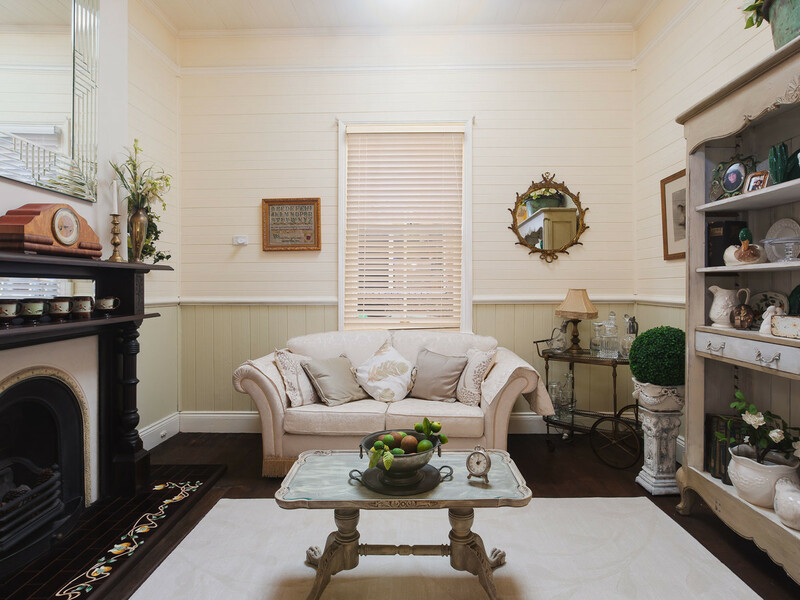 There are two living spaces, one the original parlour with original fireplace but also with the addition of skylights to lift and brighten the area. The second living area has been an extension that thoughtfully ties in with the kitchen and dining area to create a modern open living space, but still retain an old world feel. 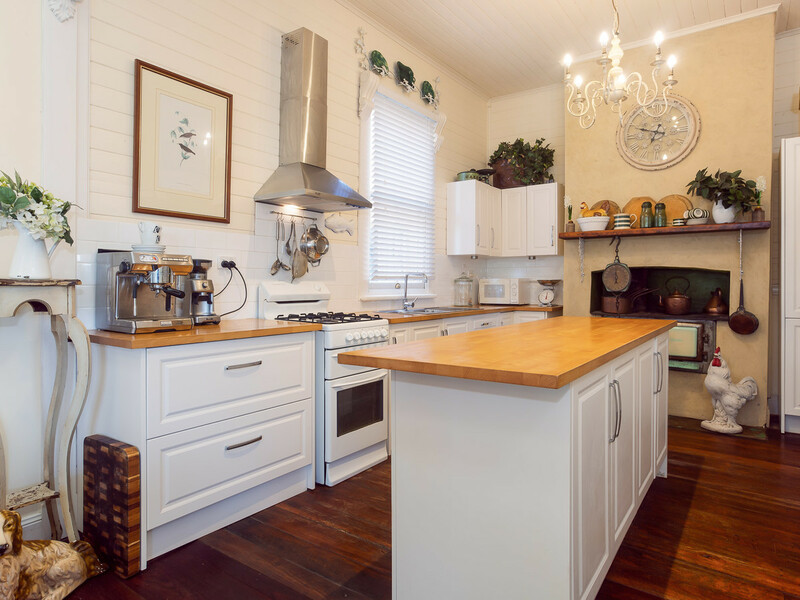 The kitchen itself is magnificent with a country style feel and includes gas cooking along with an original fuel stove. 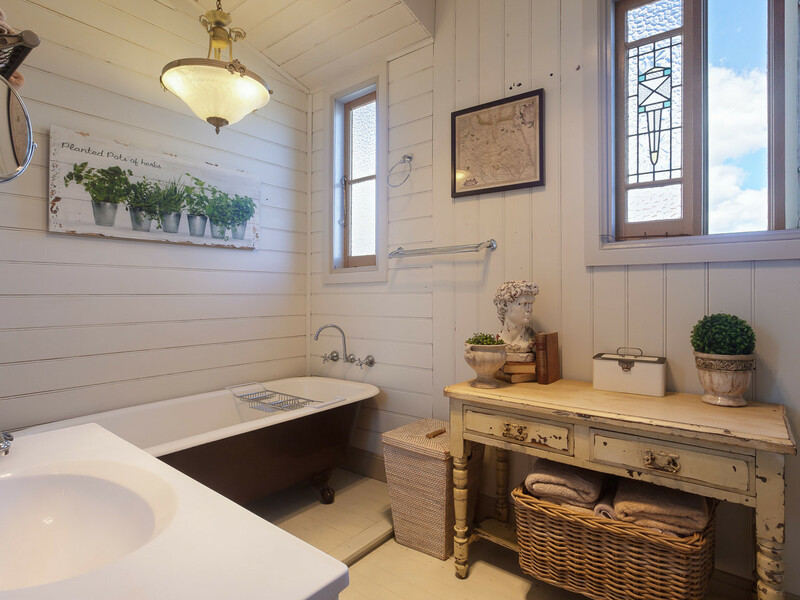 The bathroom also keeps with tradition and includes a claw foot bath as well as separate shower. 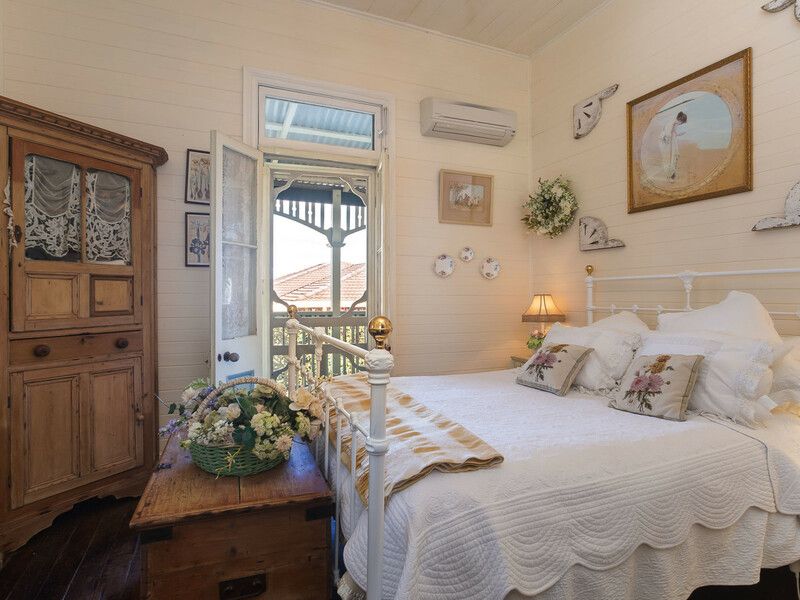 There would be no better place to relax than on the verandah which not only has views of the mountains but also watches over the stunning cottage garden. 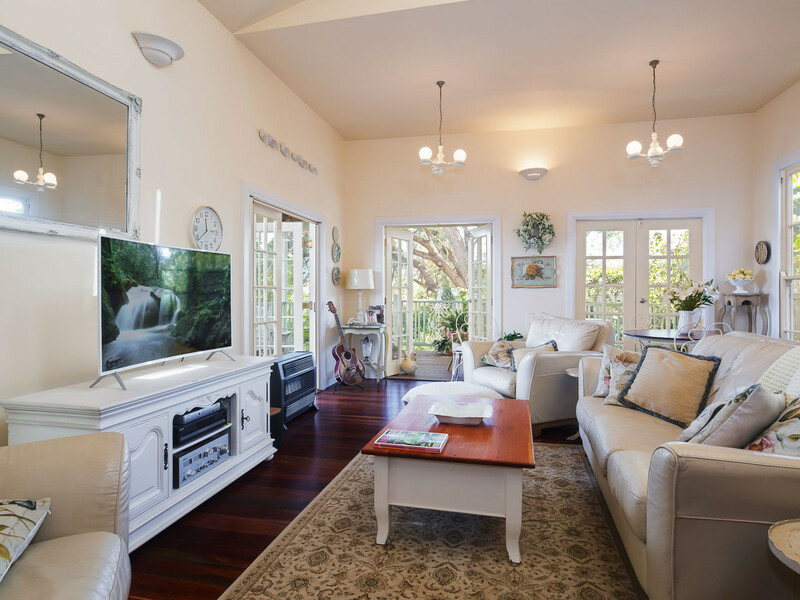 The icing on the cakes comes with single garage with carport that is nestled within the gardens and makes a great spot for outdoor entertaining. 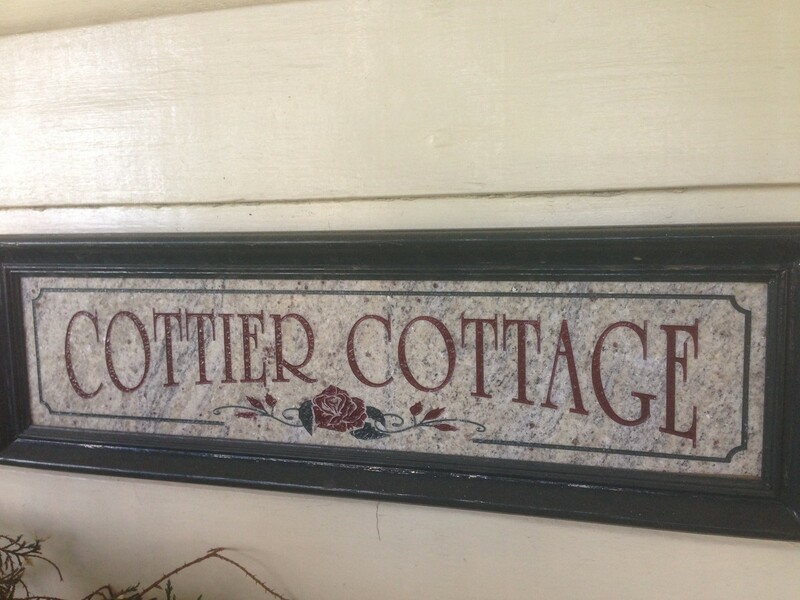 Cottier cottage is a true gem from another era and a must see for anyone looking for a stylish period home.